Our national parks offer endless places for wildlife viewing among spectacular landscapes. If you are a nature enthusiast who wants to experience wilderness in a can unique way, then check out the best US parks where you can go for a wildlife spotting. 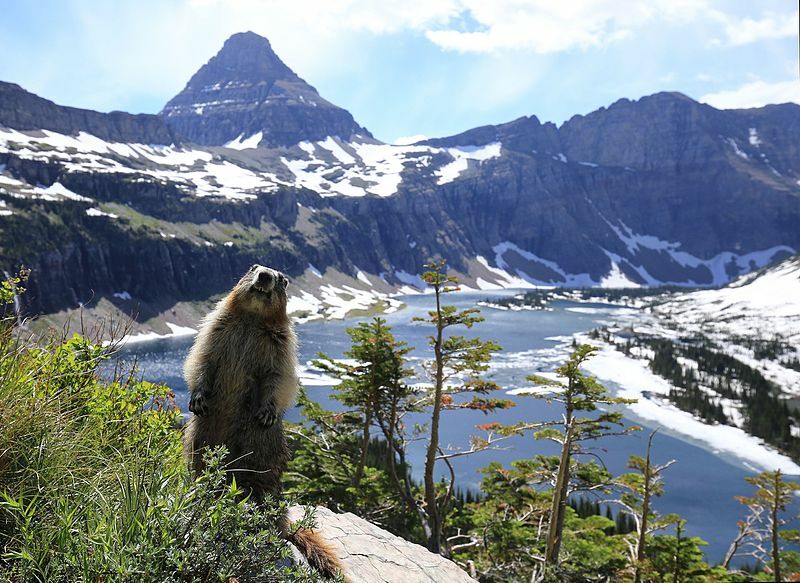 Glacier National Park has more than 2000 square miles, and it’s a home to 60 native species. The park’s most famous resident is the grizzly bear, and other big animals include bighorn sheep and elk. 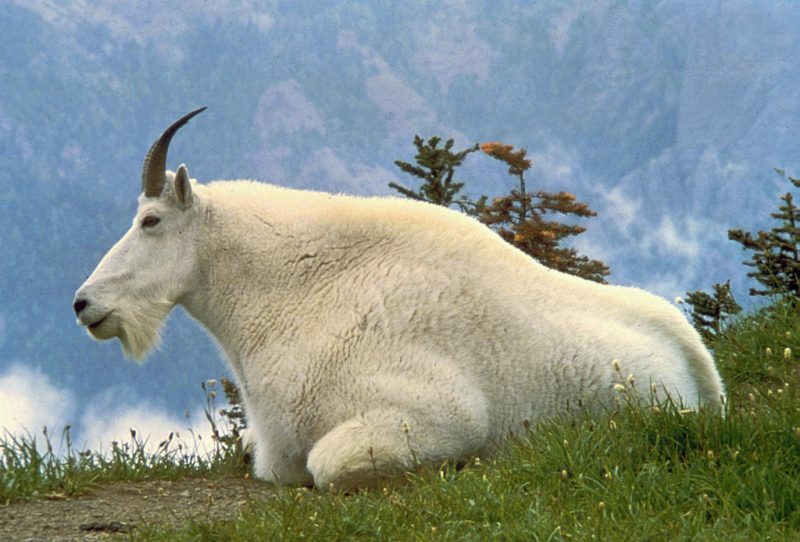 Snow-white mountain goats thriving along the slopes is a common view in the park, while lynx and gray wolf can be spotted with a little bit of good luck. The park offers day hikes and guided backpacking adventures from one to seven days. If you decide to move through the park without a guide first make sure you read their safety guidelines. 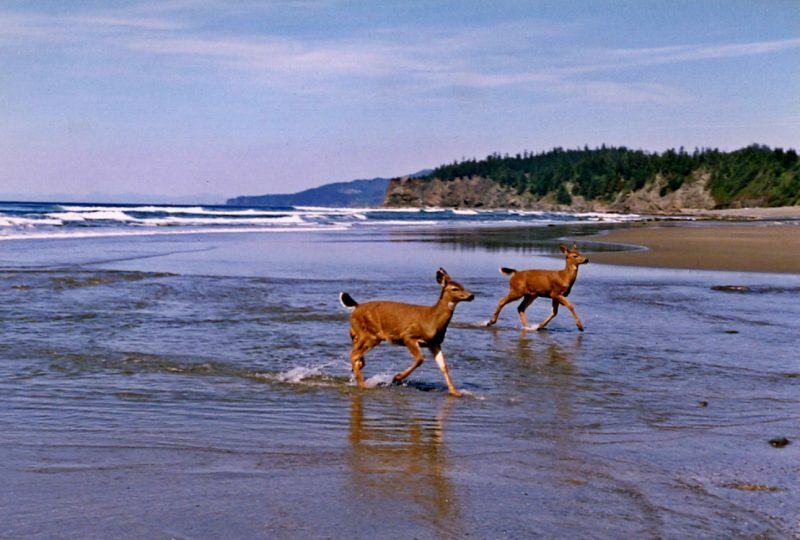 Olympic National Park has three different ecosystems that create a variety of natural habitats for many wildlife species. The rainforests, the mountain ranges, and the Pacific coastline offer visitors to see deer, cougars, bears, raccoons, mink, dolphins, whales and sea lions. If you look up in the sky you may see golden eagles or even spotted owls. While the park hosts animal species that you can also see in different parts of the world, there are few that are endemic to Olympic and unless you come here, you’ll never see the Olympic marmot, the Olympic snow mole, and the Olympic torrent salamander in their natural habitat. The park has more than 600 miles of marked trail from where you can explore the fascinating wildlife that lives on the peninsula. In the northwest corner of the largest freshwater lake in the world, Lake Superior, there is an island known as the Isle Royal National Park. 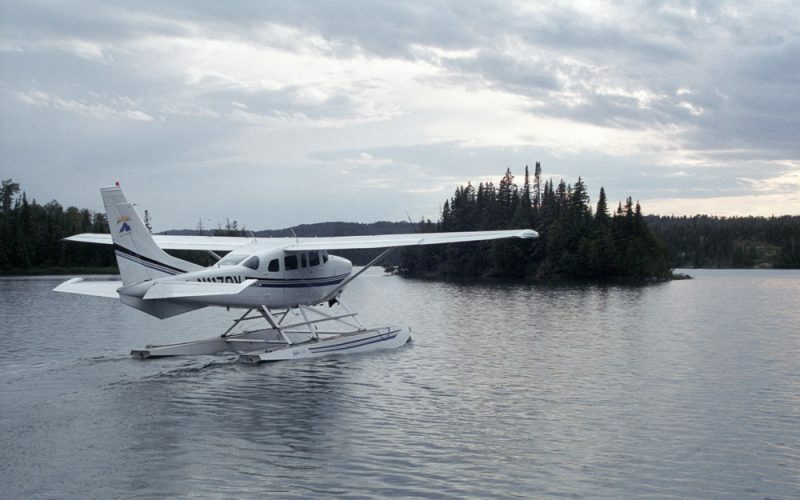 The nine-miles wide park is only accessible by boat or floatplane, and it hosts coyotes, caribou, moose, and wolves. The limited natural habitat seems to be a shared home of predators and grazing animals that somehow survive the challenge of the years. The tours offered in the park are operated by canoes and kayaks. Experienced scuba divers can explore the park under the water surface with a permit from the park authorities. Katmai National Park was established in 1980, and it’s a home of the Valley of Ten Thousand Smokes, a 40-square-mile, 100- to 700-foot-deep ash flow deposited by the Novarupta Volcano. Although remote, Katmai is one of the most beautiful landscapes of America, partly volcanic and partly emerald green. The most famous resident of Katmai is the brown bear. 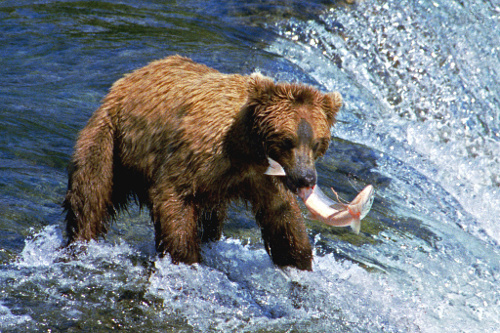 There are many opportunities to see a brown bear hunting salmon, which is one of the biggest attractions in the park. Apart from bears, you can also see moose, caribou, red foxes, wolves, and wolverines. Along the Alaskan coast, sea lions, sea otters, hair seals, porpoise and beluga, killer and grey whales are the animals that will make your day more exciting and your visit to the park an unforgettable experience. The subtropical wilderness of Everglades is a home to unique animals and plant species that can’t be seen anywhere else in the world. 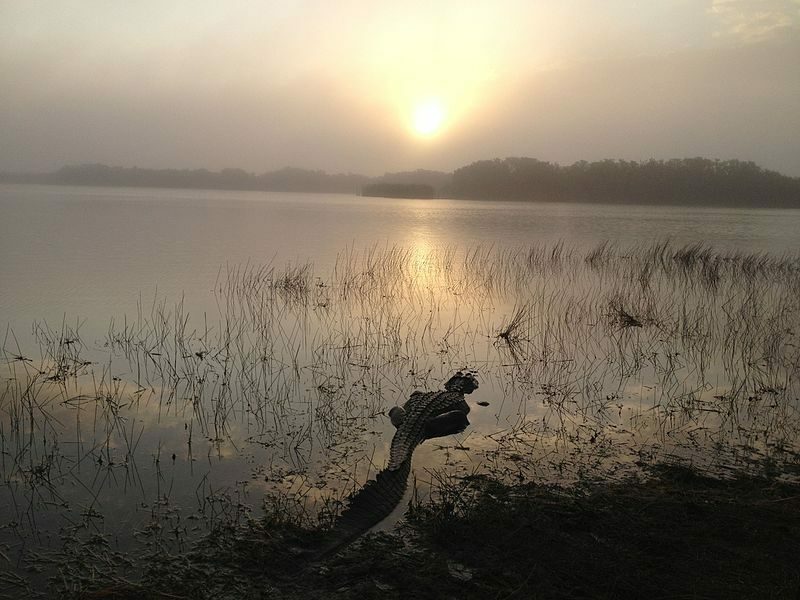 The steamy world of the Everglades is home to over 700 kinds of plants and more than 300 species of birds. And, of course, the park is home to both crocodiles and alligators, where these two species live together in the same ponds. Kayaks, canoes, and bicycle rentals are available at any time, as well as guided ranger programs. Good luck!